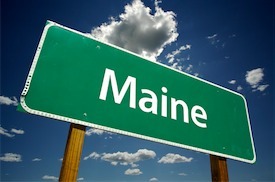 You need a dumpster for cheap in Maine, and we can provide! Dumpster Cheap works with the best haulers in the business to get you rock-bottom pricing on all your dumpster needs. No longer do you need to scour the internet to find a great price on your next roll off rental. Simply scroll below and choose your city! A free quote within minutes ensures your project won't get delayed. Get started now by selecting your city below or call us at (888) 885-4416!